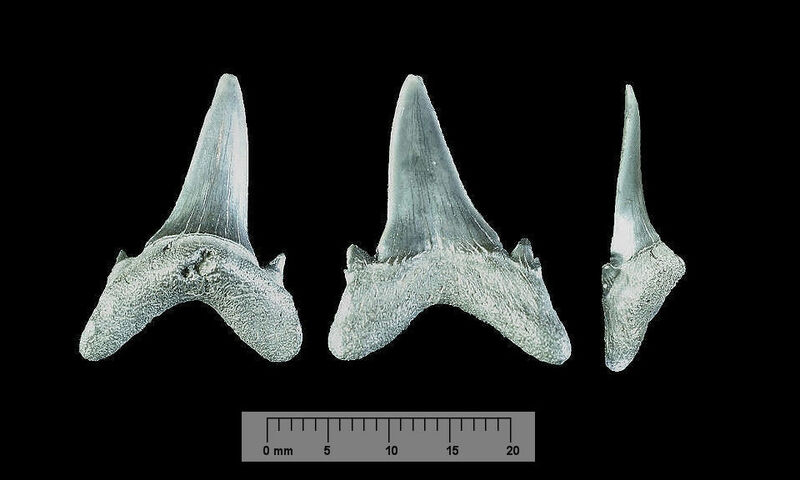 I’ve always considered the teeth of Jaeckelotodus trigonalis to be striking. Relatively robust when compared to the other sand tigers these teeth have a distinctive triangular shape. The crown is moderately broad with heavy looking roots, a strong lingual protuberance and a shallow but distinct nutrient grove. 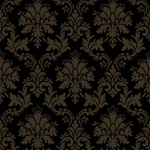 Two or more cusplets are present; the primary is a broad triangle shape, with the secondary being diminished and attached to the primary. 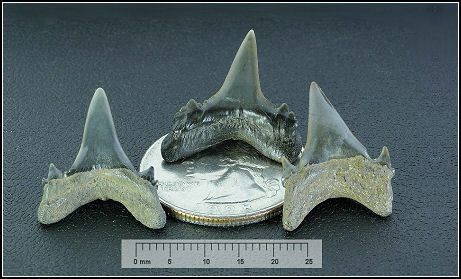 The basal portion of the cutting edge may show signs of serrations*. 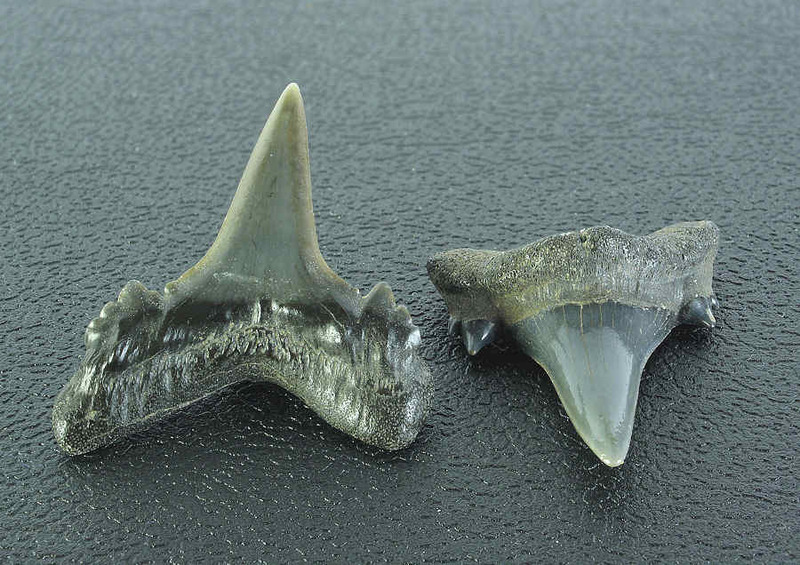 Some forms of Carcharias cuspidata and J. trigonalis can de difficult to distinguish apart. * It's worth noting that Kent¹ only mentions that the serrations may be present. 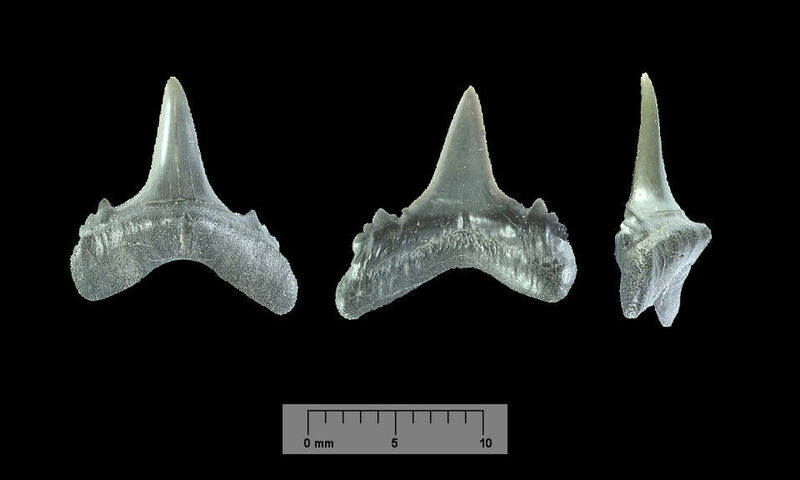 However all the specimens I've identified as J. trigonalis from the Monmouth County, NJ area show signs of serrations. 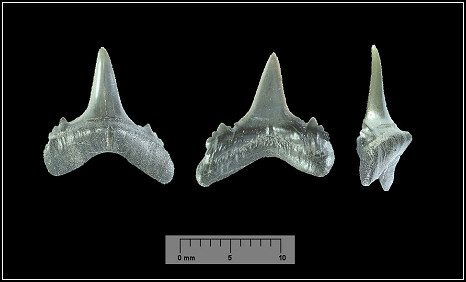 The teeth of Jaeckelotodus trigonalis average a little under an inch. 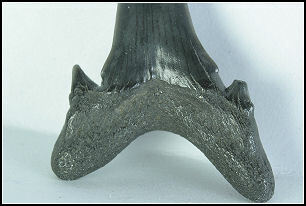 The crown has a distinctive triangular shape with two or more cusplets present. little more than a bump (right) giving a notch like appearance to the cutting edge. has two with the secondary cusplet barely visible. ¹ Kent, W.B, 1994. Fossil Sharks of the Chesapeake Bay Region, Egan Rees & Boyd, Inc., 46pp.